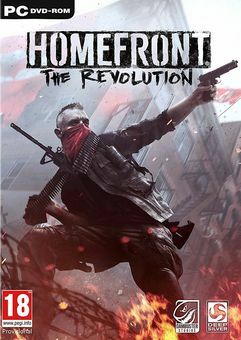 Coming to Xbox One, the all-in-one games and entertainment system from Microsoft, PlayStation 4, PC, Mac and Linux in 2015, Homefront: The Revolution throws players into a near future dystopia. Catastrophic events have brought the United States to its knees and enabled the Korean People's Army forces to impose a brutal military occupation. Trapped in this American nightmare, Philadelphia has become a police state, where surveillance drones and armored patrols keep her once-proud citizens at heel, crushing any dissent with totalitarian force.